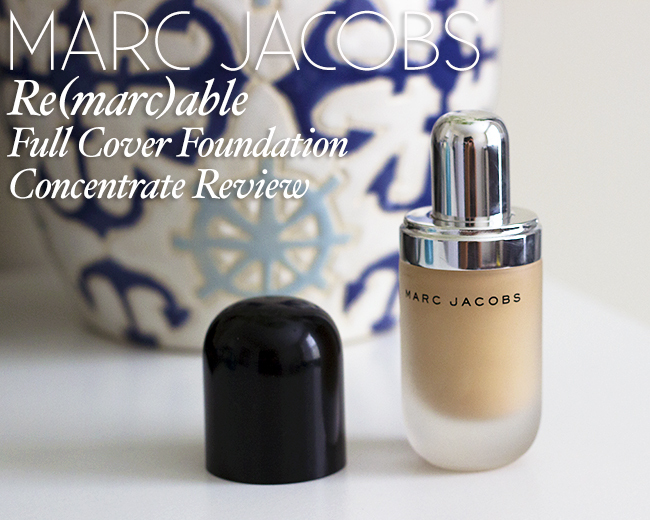 Marc Jacobs Re(marc)able foundation concentrate was definitely not on my must-try list from the get go. I am not even sure why I decided to spend that much money on a new foundation, I can say that it was just one of those moments when I wanted to reward myself on getting a new job, and so I bought it after doing a bit of research online ha. After trying out many different foundations, full coverage is definitely my favorite. I love how flawless it makes your skin look but because most of the products have quite a heavy texture I don't tend to use it everyday. Well that is not the case with Marc Jacobs Re(marc)able. This foundation glides on my skin smoothly and has an amazing lightweight feeling to it. The texture is creamy but very, well, light. I loved it from the first time I used it on my face. The coverage is absolutely fantastic and you only need a tiny bit of the product to cover your entire face (literally three dots). I don't usually (ever) spend $55 per foundation but this purchase was oh so worth it. When it comes to stay power, I set up my face with my Rimmel powder like usual and my foundation stayed on the entire day without getting cakey or oily. 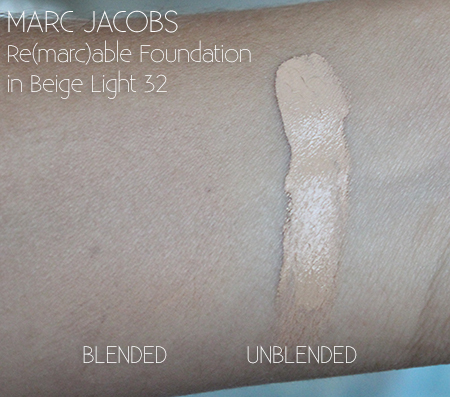 Shade I picked is Beige Light 32, which the website stated is for fair/medium skin tones with pink undertones. This shade is just a tiny bit too light for me right now because I am pretty tan, but I think it will work perfect for Fall/Winter/Spring. Summary: Absolutely worth every penny! Not only its lightweight texture feels like you are not wearing anything on your face but it gives my skin a beautiful flawless full coverage. Also because you only need a very little of the product, this foundation will last a long time. I love the packaging and the mess free applicator and overall I am very happy with this purchase. 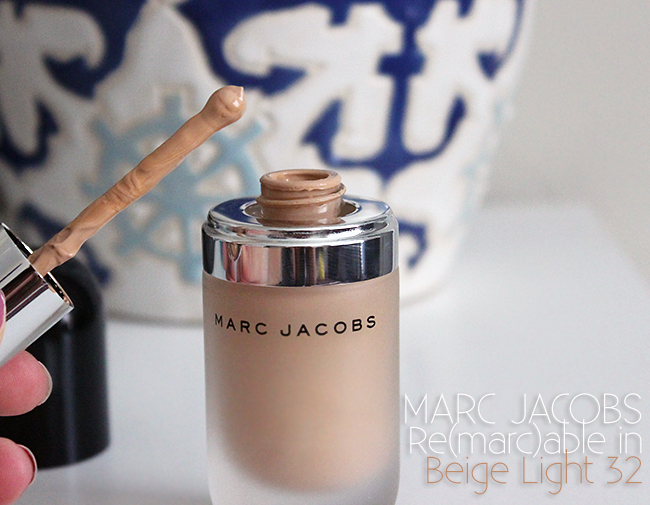 Have you tried Marc Jacobs Re(marc)able foundation yet? 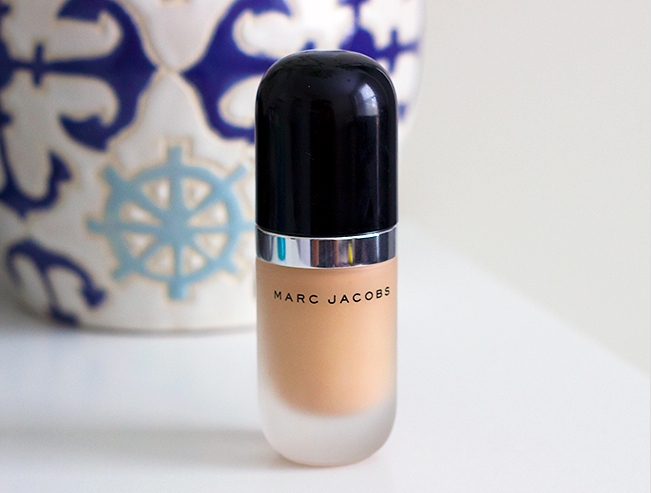 What other Marc Jacobs products have you tried? Let me know in comments below!